A small bathroom? One large bathroom in the master bedroom? A guest bathroom? 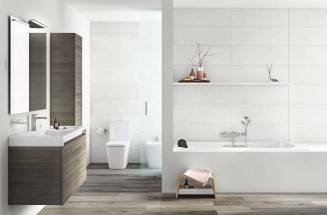 Regardless of your type of bathroom, your decorative style and your budget, these tips will allow you to design the space making the most of what is possible. 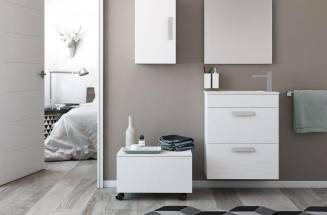 Vanity basins are one of the most versatile, functional and aesthetic options to optimise space. These provide storage capacity with them while having all your bathroom essentials within reach. 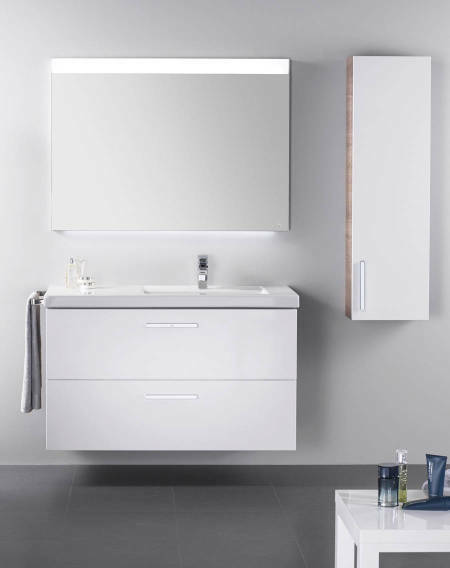 The latest trends in furniture and toilets are based on wall-hung models that, in addition to being highly recommended for small bathrooms, they are a fantastic aesthetic solution and allow easy cleaning on the floor. A good way of freeing up space and gaining aesthetics is to choose built-in faucets. 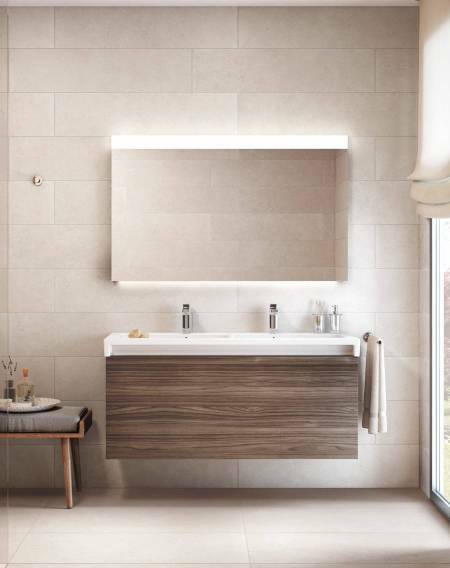 If you have already decided that a shower is the best solution for your space, to achieve a minimalistic look, why not level the shower tray to the floor. Renovating, think about light sockets and where you intend to install the mirror. This will allow you to choose one with LED lighting, demister device or ambient light. 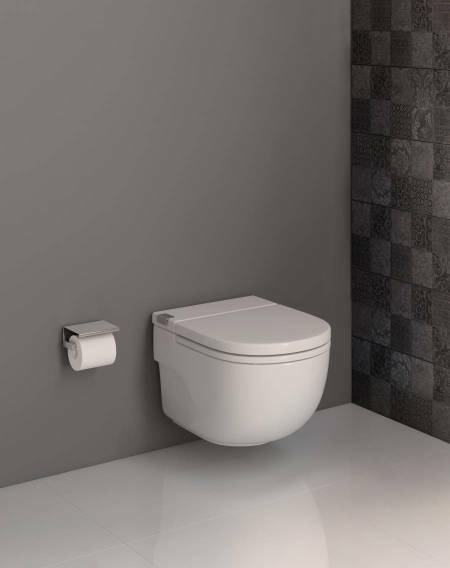 And if you choose a conventional toilet with built-in cistern, the electric connection will allow you to install an electronic operating plate for a touchless activation of the flush. The shower space is always limited by the shower tray. For this reason, the correct choice is one of the keys to succeed in the renovation of any bathroom. The screen is a key element in any bathroom space. 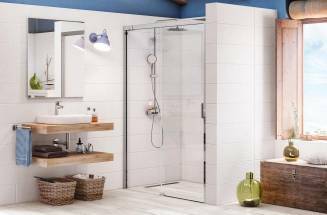 Either for a shower or a bath area, it is important to know how to choose the one that adapts best to the features of your bathroom.